The gallery is a recent addition to Manhattan’s Flatiron district. Last May the mobile telephone network, Sprint, made the unlikely decision to turn their retail show room in Manhattan’s Flatiron building into an art space. The Prow Art Space now occupies the north most corner of the historic building, a triangular fishbowl of an artspace that overlooks Madison Square Park. Cheryl McGinnis,who owns the gallery of the same name, curates the space. Wendy Rosen has spent the last thirty years advocating for craft artists and publishing both trade and consumer magazines devoted to covering the field, including her flagship publication American Style, which celebrates collectors as well as artists. Now the Maryland-based business owner is making a bid for a seat in the United States House of Representatives. The GLASS Quarterly Hot Sheet caught up with Rosen by phone this weekend, where she was in Philadelphia running one of her Buyers Markets, a national trade show and wholesale market for handcrafted luxury products. “Actually it’s pretty good. Aisles are crowded today and people are more optimistic this year than they were last by far,” she said about the turnout. She already has dipped her toe into politics with her American Made Alliance, an organization geared towards growing craft micro-businesses and American-made products. The organization also supports legislation that strictly defines products country of origin, so foreign manufacturers cannot claim their products are made in America. If Rosen makes it to Congress she would like to expand country of origin laws to include states, so consumers will know that the cheese they bought was made in Wisconsin and the candles were made in Maryland. Rosen has spent years lobbying Capitol Hill on behalf of artists around the country. “There’s so much that I’ve tried to do from outside of the system and I realized that being inside the system is how you really get things done,” she says. Rosen maintains that providing support for small businesses is the best way to reinvigorate the faltering economy. “In the recovery of the economy 78 percent of all new jobs will come from micro-enterprise start ups,” Rosen says. 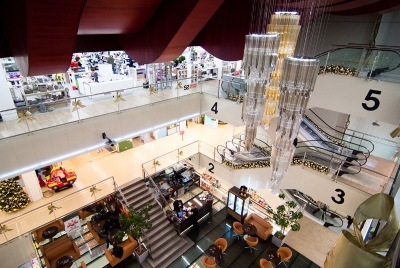 In Baltimore, Rosen capitalizes on the growing trend of shopping locally. In 1986 the Rosen Group began renovating an old cotton mill in Baltimore’s Hampden neighborhood to house their offices. Since then a variety of artists and small businesses have come to work at the mill, now known as Mill Centre. The building is a good example of the type of community that Rosen would like to create, one that predominately relies on local businesses. Many politicians refer to this as Main Street, the common retail hub for many neighborhoods, villages, and towns. While Rosen champions Main Street, she acknowledges it’s susceptible to local economy lulls and dips, which is why she thinks all local artists should also compete in national and international markets selling their wares in trade shows and other forums. Her campaign draws heavily on her experience promoting craft artists, which may be too narrow a lens for some voters. But, with a 6.7-percent unemployment rate in Maryland, residents may be looking for a candidate that supports small business. If Rosen can open her campaign language to discuss small business beyond artisanal craft, she may have a fighting chance against some of her other business-minded competitors. The Maryland crafts-advocate will be competing for candidacy in Maryland’s first Congressional district. Her Democratic competitors include John LaFerla, a gynecologist, and Kim Letke, a small business owner and government contractor. If she emerges as the Democratic candidate she will be up against incumbent Andy Harris (R), a career politician. Prior to being elected to the House of Representatives, Harris was a Senator in the Maryland State Congress. The executive director for the nonprofit Pratt Fine Arts Center in Seattle, Washington, Michelle Bufano is taking up a new position as the executive director at the for-profit Chihuly Garden and Glass. (Her last day at Pratt will be February 3rd.) The new tourist-friendly arts center project is a collaboration between the Wright Family, owners of the Seattle Space Needle, and glass artist Dale Chihuly. A contentious approval-process was resolved in December 2010, when Seattle’s mayor negotiated a compromisebetween Chihuly and the local independent radio station that has also been vying to use the same public space. Bufano, who’s been in arts management for the last 20 years, says she got involved with the Chihuly project early. Concerned with how the center would affect local artists and Pratt, Bufano started conversations with the Wright Family. Seeing an opportunity for artists to show their work and a potential collaborator for Pratt, she became an early advocate for the Chihuly Center. It wasn’t until later in the center’s development that Bufano was asked to come on as executive director. She says the offer came at an opportune time. Bufano just finished overseeing a $500,000 campus-improvement project atPratt, allowing her to leave the organization on a high note. She’s also ready to take the next step in her career. The for-profit gallery space will be more like a tourist attraction than a museum, though the space will feature a permanent selection of Chihuly’s work, curated byChihuly himself. Each of the nine galleries will showcase a different era of his work. Beyond showcasing Chihuly’s work, the site plans on holding a variety of events and partnering with a number of local institutions. The Chihuly Center is already partnering with Pratt Fine Arts Center and is developing a relationship with Pilchuck Glass School. Bufano has a lot of ideas about how the Chihuly Center can benefit the greater Seattle area and its artists. “We want to have a monthly event called Center Nights,” she said as an example. Center Nights would be an event where different artists could showcase their work. It would happen once a month and would be open to artists working in a range of mediums not limited to glass. Bufano also hopes to collaborate withSeattle International Film Festival to host movie nights at the Center. Another potential collaborator is KEXP, a Seattle radio station that also placed a bid on the space at the base of the Space Needle. 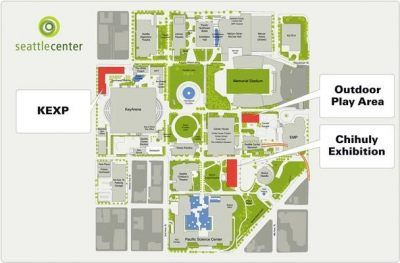 The radio station will now be located in a building next to Chihuly Garden and Glass on the Seattle Center campus. Bufano muses that the two organizations could host concerts among other things. Of course, the Center and it’s multitude of events are all still in the planning stages. But what remains at the core of Bufano’s planning is inclusivity. The Chihuly Center is a for-profit art space, a measurably different approach to art than most venues take. The project is being managed and funded through Center Art LLC. The organization is the source of all initial and continuing funds. Bufano sees the funding for the Chihuly Center coming from three main sources: tickets, merchandise, and partnerships. She hopes to keep ticket prices affordable to make the site accessible to anyone. “There will also be no extra fees,” she says. Customers will have to pay one price to get on theChihuly campus, not separate prices for individual galleries. Visitors to the Space Needle may get a special price if they decide to visit the Chihuly Center as well. As far as merchandising goes, Bufano isn’t entirely sure what the gift shop will sell, but imagines the items on sale will in someway promote local artists. The Chihulysite will also be available for private events, which she expects will generate a fair amount of revenue. Chihuly Garden and Glass is expected to open this spring 2012. The year 2012 marks the 50th anniversary of Studio Glass in America, and theMuseum of Arts and Design has made an unusual choice to observe this occasion through its upcoming exhibition “Glasstress New York: New Glass from the Venice Biennales.” The decision for an American museum that helped put Studio Glass on the cultural map with major exhibitions of Chihuly and others (in the days it was known as the American Craft Museum) is quite provocative. After all, one could easily point to the under-representation of Studio Glass artists at both GLASSTRESS shows in 2009 and2011 and wonder how such an exhibition relates to the institution’s own historical role in the advancement of sculpture made from glass. Beth Lipman, a glass artist known for her austere three-dimensional still life sculptures largely devoted to examining extravagance, is one of 50 artists to be awarded theUnited States Artist Fellowship. Founded in 2006, the organization provides each fellow with a $50,000 grant to continue progress work in their given field. While many Americans see the struggling nature of being an artist as part of the territory, United States Artists believe artists should be duly compensated for their work. Actor and director Tim Robbins hosted the awards ceremony Monday night at the Broad Stage in Santa Monica, California. A graduate of the Tyler School of Art,Lipman has been showing her work in solo and selected group exhibitions since 2000. In ancient times, still life paintings were included in tombs as offerings that were believed to become real in the afterlife. But Lipman’s work dashes that notion, forcing her audience instead to carefully examine the timeless scenes. It’s this juxtaposition of luxury and chaos, a gluttonous bowl of fruit or a 10 foot tall dessert stand filled with a jumble of wine glasses and tableware, that makes Lipman’s work so engaging. Beth Lipman in the studio. courtesy: corning museum of glass studio. 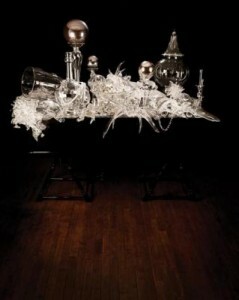 The Heller Gallery in New York, which represents Lipman, will feature her work at the upcoming Art Palm Beach fair. The event will take place at the Palm Beach County Convention Center January 20-23, 2012, with an opening night preview on January 19. Berlin Glas, the first open-access glass studio in this international art mecca, will officially open its doors with a special evening of demos and performances a week from today on December 9th. Featured in the Fall 2011 issue of GLASS, the new studio is the culmination of a multi-year project initiated by American-born Nadania Idriss, who also runs the New Glass Art and Photography Gallery that she has recently moved to the same Parkhaus building as the glass facility. The glass studio space is about 750 square feet and equipped with bleacher seating for visitors keen on watching glassblowers at work. The studio includes a full hot glass facility and some cold-working elements. The ecologically friendly modern complex was designed to fill a the void of available glass working studios in Berlin. Idriss hopes to offer a space where artists can work, learn, and exchange creative ideas about glass working at an affordable rate. While the studio has opened, Idriss is still running a fundraising campaign for the studio. So far the studio has raised $7,925 with a goal of $15,000. The campaign will run for another 45 days. In the meantime volunteers and private funding are getting Berlin Glas on its feet. The studio’s founding members is a collaboration of Americans, Germans, Canadians, Australians, and Lebanese; and by some of the biggest, up and coming names in contemporary glass. This year, in November, Tim Belliveau and Phillip Bandura of the Bee Kingdom collective in Canada moved to Berlin to help founder and director Nadania Idriss make this project come into fruition. This is a team with years of combined experience in management, programming, technical ability and art practice. Tonight Bullseye Gallery presents a series of wearable artworks by nine female artists from around the world. Titled “BodyWork” the exhibit focuses on the performative nature of adornment and explores the relationship between the work and the wearer. Featured artists include Elizabeth Aro, Heike Brachlow, Jane Bruce, Bonnie Celeste, Silvia Levenson, Erica Rosenfeld, Luisa Restrepo, Blanche Tilden, andYoko Yagi. All of these women have chosen to augment their sculptural glass artwork with jewelry making. The works range from necklaces and pendants to clothing studded with glass beading. Keep an eye out for Erica Rosenfeld’s They Loved Their House So Much They Would Do Anything To Keep It (2010). The piece looks like a bandeau style top covered with lustrous black beads, all hand crafted by the artist. A more discerning viewer will see, upon further examination, a few pairs of eyes staring back at them from inside the beads. Rosenfeld fused images into a few of the beads keeping them well hidden in the overall beautiful work. The piece evokes materialism and how we become trapped by the promises of the material world. Watch a slideshow of some of the work that will be on display at Bullseye Gallery. 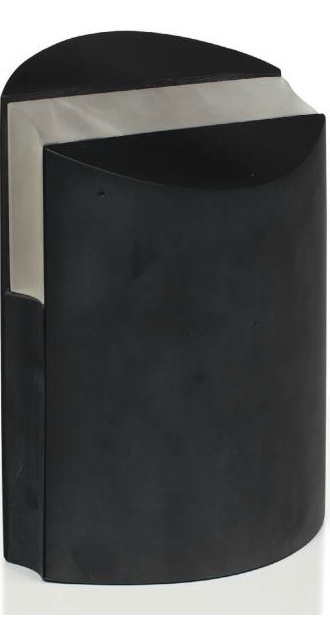 Along with Joel Philip Myers, Bertil Vallien will be given the GAS Lifetime Achievement Award for his contributions to the field through works such as this one entitled The Bar (1999). [/caption] The votes are in. 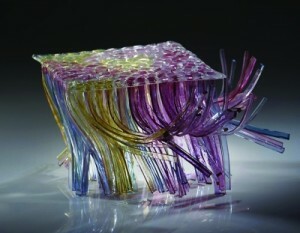 Glass Art Society has announced its 2012 Lifetime Achievement Award will go to Joel Philip Myers and Bertil Vallien. The wnners will accept their awards at the 42nd annual conferenc , which will be held at the Toledo Museum of Art on June 14, 2012. GAS has been giving the Lifetime Achievement Awardsince 1993 to acknowledge individuals who have made outstanding contributions to the development of the glass arts worldwide. A ceramicist by training, Joel Philip Myers was the design director at Blenko Glass. In 1970, after seven years of working at Blenko and educating himself on glass working, he began the glass program at Illinois State University in Normal, which offers both undergraduate and graduate degrees, Students have the opportunity to work with ISU’s 5,000 square foot glass studio called the “Vitro House.“After 30 years of teaching Myers has retired and now works exclusively on his glass vessels, showing them in solo as well as group shows. The other winner of this year’s award, Bertil Vallien, is a Swedish artist who also began as a ceramics designer. 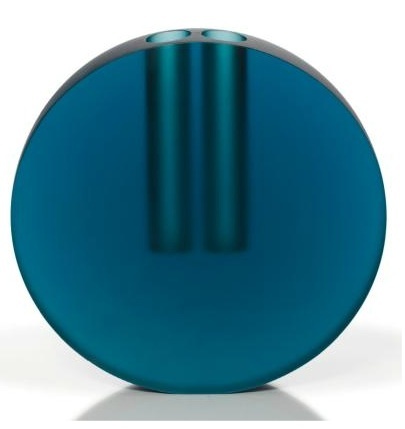 While working for HAL Fromholt Ceramics in Los Angeles, California, Erik Afors, owner of Afors Glass Company, offered Vallien a position as a glass designer back in Sweden. In 1964, Vallien began his education in glass at Afors. Over the years he has received myriad awards such as the Second Prize at the Zweiter Coburger Glaspreis, the Visionary Award from New York’s Museum of Arts & Design, and a Royal Swedish Academy of Engineering Sciences Gold Medal. He is a key figure in developing sandcast glass techniques and has taught widely on this subject. Both Vallien and Myers will be awarded during The 42nd annual Glass Art Society Conference. The Lifetime Achievement Award winners will each give a lecture at the conference opening ceremonies. Myers’ lecture is entitled “En Lykkens Pamphilius” (One Lucky Guy) and Vallien’s is named “There Must Be a Reason.” Vallien will also give a demonstration as part of the conference program. This year’s conference will explore 50 years of studio glass, with events ranging from lectures and demonstrations to exhibits and tours. There will be a student specific education center where students can discuss career opportunities and have their portfolio reviewed. The conference will run from June 13th – 16th, 2012. Registration is availableonline starting December 1st. 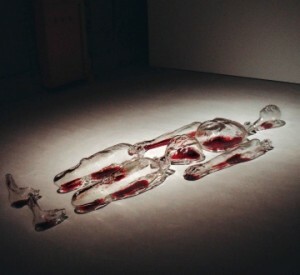 From now until February 8th, 2012, the Shanghai Museum of Glass will host a series of events surrounding the 90th anniversary of the Venetian glass design house Venini. The second-floor exhibit will pay homage to the various artists who have made their mark through their iconic designs for Venini. The exhibition will feature work from each decade of Venini’s 90 years with a look at a single artist and their work, starting with Zecchin and Paolo Venini’sVeronese vase and ending with a series of angular vases designed by Japanese architect Tadao Ando in 2011. Tapio Wirkkala, famous for the Bolle Bottles will represent the years between 1961 and 1970. The Shanghai Museum of Glass opened in May of this year and is the latest addition to China’s growing glass art field. Just five years ago, China didn’t even have an operational hot shop for artistic use of the material. Now the country boasts a a couple of university-level glass art programs, and, as of this year, a whole museum devoted to the pursuit. The Shanghai Museum, a gorgeous sprawling reuse of the former Shanghai Glass Company factory transformed by German architecture firm Logon, is a modern venue for glass artwork. 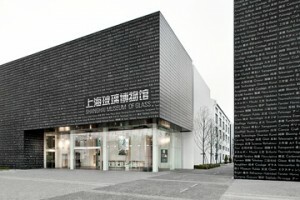 The Shanghai Glass Company, a major industrial glass maker, sponsors the Museum in hopes of educating Chinese on the history of glass and provide a forum for artistic inspiration. The museum not only showcases international glass artwork, but also houses a public glass hot shop. Despite the fact that the country produces 80 percent of the world’s processed glass, there are limited venues for creative glass making. Having a hot shop was a top priority for the museum. Bolle Bottles for Venini by Tapio Wirkkala, 1968. In addition to celebrating Venini’s 90th anniversary, the Shanghai Museum of Glass is running their series “Transmission of Imagination — Infinite Possibilities No.4″ which features contemporary glass art from the China Academy of Art. Another contemporary exhibit that just finished its run in October, featured the work of American artist Steven Weinberg. The retrospective focused on the optical, transparent, and reflective qualities of glass in his solid, kiln-cast sculptures. The Shanghai Museum of Glass hopes to expand the museum to include a whole campus dedicated to exploring the world of glass. The campus, titled G+ Theme Park, is planned to include a sculpture park, science park, studio, and business park. Formed in 2006, NOCGI offered an open access glass studio with the hope of creating a community for artists who had lost their work and equipment during Hurricane Katrina. 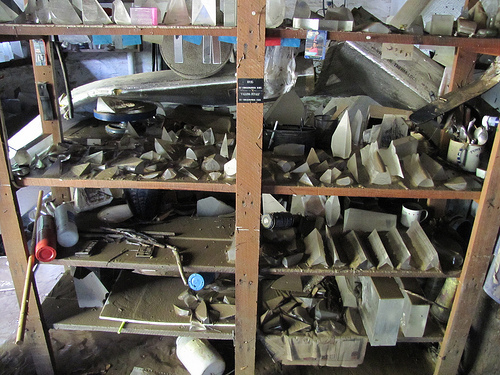 The organization took over the former site of Conti Glass, an open-access studio established by studio equipment fabricator Wet Dog Glass, which left New Orleans after the devastation of the hurricane. The pay by the hour studio features a full hot shop, kilns, lampworking area, and a cold working shop. In addition to renting out their facilities, NOCGI set up some educational programming for novice glass artists. Still, despite regular bookings, the organization has largely subsisted on Katrina related grants, which are on the brink of running out. Local glass artists fearful for the possible studio shut down, banded together and began brainstorming. “We called ourselves “Friends of NOCGI,” says former NOCGI and current “Creative Glass” at YAYA studio manager, Mark Morris. The weekly meetings yielded a litany of ideas, including starting their own LLC where they could fundraise to keep the studio in operation, but no substantial results. At the same time NOCGI board members were toiling away at the same issue. “We were finding being a hot shop for rent was a tough model for making ends meet,” says NOCGI CEO and President Carlos Zervigón. He says he tried to grow NOCGI into a larger self-sustaining entity, but found it nearly impossible in an ailing economy. Ultimately, NOCGI decided to donate the facility and its staff to YAYA. “We know how to run a studio and they know educational programming,” says Zervigón. It was, as he says, a no-brainer. YAYA would be able to offer more learning opportunities to area artists and students, and have the financial stability to keep the studio in operation. For more than two decades, YAYA has been offering young people the opportunity to get involved in the arts despite economic or social disadvantages. They offer all manner of art classes and workshops, but this will be their first time running a glass studio. With this new studio in their possession, they hope to expand their glass programming with NOCGI’s help. But Executive Director, Baty Landis, has no misconceptions about getting the studio into shape. “I expect a two year investment period to make [the studio] self sustaining, ” she says. Landis has big plans. In addition to dramatically expanding education at “Creative Glass,” she was wants to push art sales. Professional and student artists will have the opportunity to sell their work not only at the on-site gallery, but also at YAYA’s satellite gallery and the Arts Council Art Market. Landis says in addition, she will continue to look for grants and other donations to assist in covering costs. For now, the studio will maintain as an open access rental facility with a few educational programs here and there. She hopes to have a full schedule of classes lined-up by the spring, after her staff has a chance to review the studio and see where the educational opportunities are. While the future of YAYA’s “Creative Glass” studio and program looks promising, the future of NOCGI is less clear. “We’ve been in such a rush with the transfer, we haven’t had time to this about what NOCGI will become,” says Zervigón. He imagines the organization will act as a conduit for artists, helping them to network and promote their work. Board member and glass artist Laurel Pocari sees the organization doing more. “What we hope to do is give awards, grants, offer residencies,” she says. Without the burden of a physical entity, the board can work towards helping funding other artists and building partnerships with arts organizations locally and across the nation. It will be interesting to keep an eye to NOCGI to see how the organization evolves. NOCGI’s transformation may act as an example for other arts councils and organizations that have suffered financially in recent years. For now, check out “Creative Glass” at YAYA this November 18th at the former NOGCI studio on the Conti street at Carrolton Avenue. The event is free and open to the public. Glass artist Jeff Zimmer calls his work “politically charged,” but not necessarily polemic. In his most recent series “Whitewash,” on display at the Philadelphia Museum of Art Craft Show from November 10th through the 13th, he explores the American tendency to gloss over past failures through his out-of-focus snowy landscapes. The solo show, his first in the U.S., is a part of the Craft Scotland delegation at the museum’s 35th annual Craft Show. It is fitting, given his subject matter, that Zimmer is originally from Washington, D.C.. After studying at the Washington Glass School, he left the U.S. to study glass painting at the Edinburgh College of Art. It was there that he began layering his hand-painted and kiln-fired glass sheets in a light box to achieve a 3-D effect. Zimmer’s paintings are often eerie and look like holographic vintage photographs. The work in the “Whitewash” series carries that sentiment. The series of seemingly deserted urban and rural scenes set in the U.S. and Scotland depict things that feel left behind or forgotten. The images are dense with snow and fog. Each painting shares the title We Were All Wrong, with parenthetical subtitles individual work. The global title is a direct quote from former weapons inspector David Kay’s testimony regarding the U.S. invasion of Iraq. They are differentiated by subtitles noted in brackets. Zimmer will be one of 25 artists traveling from Scotland to show during the Philadelphia Museum of Art Craft Show in an effort coordinated by CraftScotland to offer wider exposure to its artists. Tickets can be purchasedonline or by calling (215) 684-7930, or at the door. [caption id="attachment_322" align="alignleft" width="235"] Melissa Schmidt, Jaqueline Necklace, hand blown glass beads with film slides. 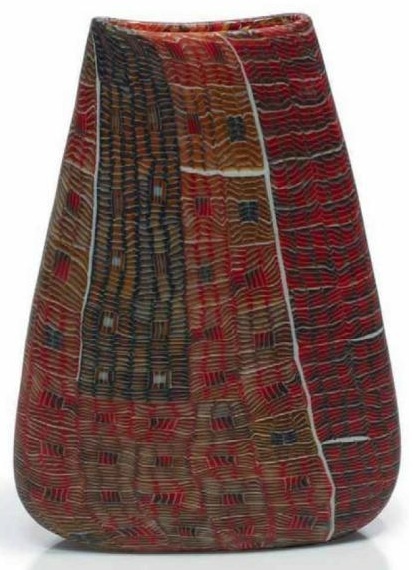 [/caption] This weekend, the Building Museum in Washington D.C. will be the site of a special fashion show called “Craft 2 Wear”, a sale and exhibition of 40 craft artists’ work that can be termed “wearable art.” The pieces on display range from fabric to metal, ceramics to glass; and they are drawn from previously juried Smithsonian Craft Fairs. It all kicks off tonight with an “Advance Chance Party” hosted by ABC World News weekend anchor, David Muir. The Smithsonian promises an evening full of wine, food, a fashion show, and first pick at the crafts that will be sold on Saturday and Sunday. Glass collectors in attendance are sure to be dazzled by Melissa Schmidt‘s bubbly glass jewelry. Her non-traditional glass beads are hand-blown globes, strung together in clumps on sterling or gold-filled neck wires. The beads are stunning on their own, but Schmidt is known to fill these globules with origami and slide film. The string of glass encased slides, illuminated by light passing through, form an interesting narrative. The one she most prominently showcases on her website was a gift to her mother on her sixtieth birthday. The necklace is comprised of over 60 glass globes each containing sentimental film slides collected by her mother. Schmidt makes earrings, bracelets, and necklaces and prices range from $75 to $1500. Her jewelry, along with the designs of 39 other artists, will be on display starting tonight at 5:30 p.m. and will conclude this Sunday, October 23rd, at 5pm. Tickets can be purchased online, at the door, or by calling 1-888-832-9554. Giles Bettison, Vista #83, 2001. Fused, blown and wheelcut murrine glass. H 8 7/8, W 6 1/2 in. Estimate: 2,500 - 3,000 Euro (US$ 3,400 - 4,000)[/caption] This Monday in Paris, art dealer Barry Friedman will auction off 158 works of glass, many by artists he personally championed such as Michael Glancy, Giles Bettison(pictured at left), Yoichi Ohira, and Laura de Santillana. Organized by Camard & Associates, a Paris-based specialist in 20th-century decorative art, design, photography and jewelry, the October 3rd auction will take place at 2:30 PM in Paris (8:30 AM EST) at Drouot-Montaigne. Work in glass by more than 20 artists will be represented in the auction, including such giants of the glass art field as Dale Chihuly, Lino Tagliapietra, Joel Philip Myers, and William Morris. The Camard catalog documents this in the rich diversity of visually pleasing artwork ranging from Giles Bettison’s “Vista” series, created using the Venetian murrini technique to layer colored glass into a complex mosaics, to the more austere aesthetic of the late Czech artist Frantisek Vizner, whose stark columns and deep bowls that rise to a sharp point in their center provide a minimalistic approach to elegance of form. Also in the Paris sale is work from all three artists from the Barry Friedman Gallery’s touring exhibition ““Venice: 3 Visions in Glass: Cristiano Bianchin, Yoichi Ohira, Laura de Santillana”, which recently completed its stint at the Musee Des Arts Decoratif in Paris and will conclude its run at the Glasmuseet Ebeltoft in Denmark on March 18, 2012. Camard & Associates will host the auction as well as a series of seminars leading up to the sale. The exhibition “Collection Barry Friedman” will be on display at the Drouot-Montaigne today and tomorrow. A catalog of all the items for sale is available at the venue as well as online. Interested parties can bid live during the auction via the Internet or over the telephone. The more traditional way of participating afar by filling out an absentee bid form is also an option. Over the telephone and absentee bidders will have to register with Camard, while online bidders will register withDrouot. IMPORTANT NOTE: All artworks purchased at this event will incur a 22.5-percent buyers charge over and above the gavel price. With the help of family, friends, and a few of his employees, Ries is working to gut and rebuild his home and studio. While his home was flood insured, his studio was not. He is not currently receiving aid from any organization and doesn’t expect to. “You would think that we’d be on the computer trying to get a grant from some organization or another, but you just don’t have time,” he says. All of his time is devoted to restoration. Ries did his best to prepare, and his precautions were key to avoiding a total loss.When the hurricane was making its way north, Ries monitored storm updates vigilantly. At first he wasn’t worried. In the past, floodwaters had crested as high as 37 feet without damaging his property. 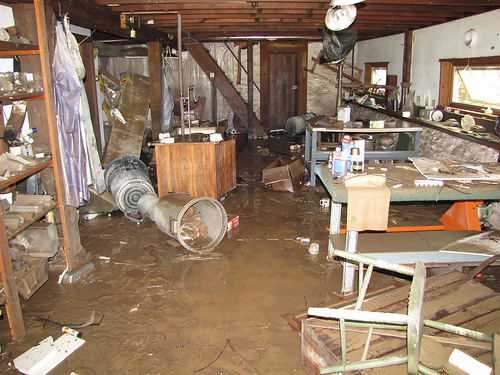 Initial reports estimated Hurricane Irene would bring enough rain to raise the Susquehanna to roughly 34 feet. It wasn’t until 24 hours before the storm hit that reporters were predicting over 40 feet of water to hit the region. That was when Ries took action. “I got people from the church down here. I had people from my studio all working all night long getting equipment out, things out of my home. Next day the water’s rising, rising, rising into my studio, into my kitchen. The water finally crested at 44 feet. Forty-four feet! 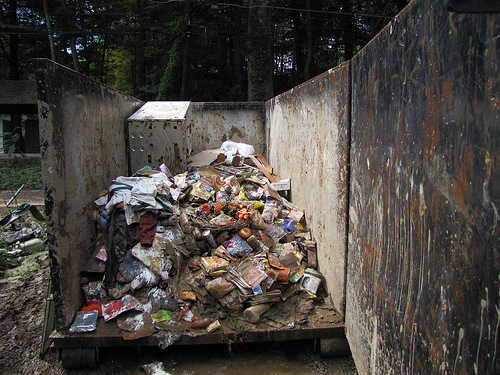 Anything we couldn’t get out was lost or compromised,” he says. Luckily, Ries and his crew were able to save the large grinding and polishing machines necessary for creating the large scale prismatic glass sculptures that Ries is known for. His artwork centers on the physics and metaphysics of light and glass, or the way in which glass refracts, transmits, amplifies, and focuses light. In his independent home studio, he creates smaller works and casts models of works to be cast at Schott Optical studio. For now, the Schott studio and its staff are on standby until Ries returns. While the staff assists with polishing and grinding work, Ries says he has to have his hand in all aspects of production. As far as his artwork is concerned, he’s unsure how it will ultimately affect his work. All experience being cumulative, he says, in some way it will affect his work somewhere down the line.